Arsene Wenger will rotate his squad for Arsenal's Carabao Cup quarter-final clash with West Ham and has backed the latest crop of young players to become the future of the club. With his side having looked lethargic in Saturday's 1-0 Premier League win over Newcastle and on the back of two away draws against Southampton and the Hammers, it is clear that Wenger will once again shuffle his pack. While that could mean starts for international players such as Danny Welbeck, Mathieu Debuchy and Mohamed Elneny, it is also a chance for Wenger's young ensemble to impress. 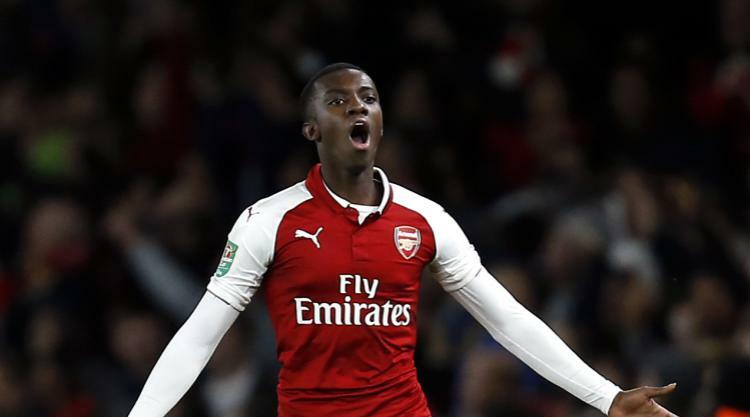 And Wenger will continue to give chances to his young stars, such as Matt Macey, Joe Willock and Eddie Nketiah - who scored twice off the bench against Norwich in round four. "It's a very exciting bunch of young players," Wenger said. "I made the decision a few months ago to try and keep them at the club because I believe they all have futures at the club. "That shows you that our level you have not many teams who can show up with that. That's a positive sign. We have some good young players coming through as well, behind them. " "We have so many quality players who have not started on Saturday but you cannot say that you prefer to play a player who has played three games in six days to a guy who is at the same level and is completely fresh," Wenger said. "The players who will start are basically all international players, so that's why I think it's a decision that makes sense and you have as well to show the trust and the confidence that we have in the players. "That's where I come back to. We've got a big squad of top quality and the best way to show that is to use all our squad. "I trust this team, but I can talk and talk and talk. It's about what we do tomorrow on the pitch and how much we want it."